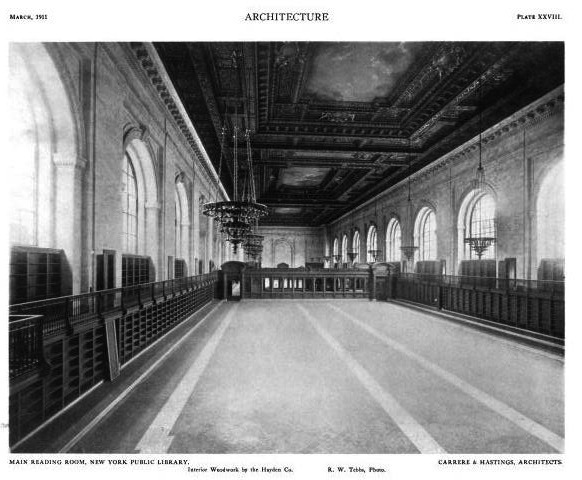 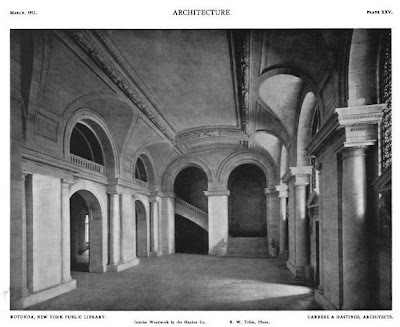 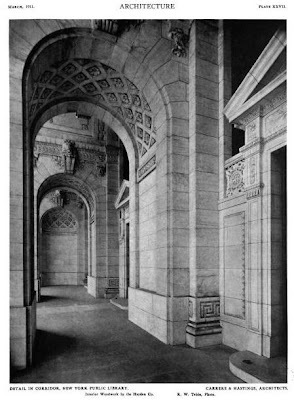 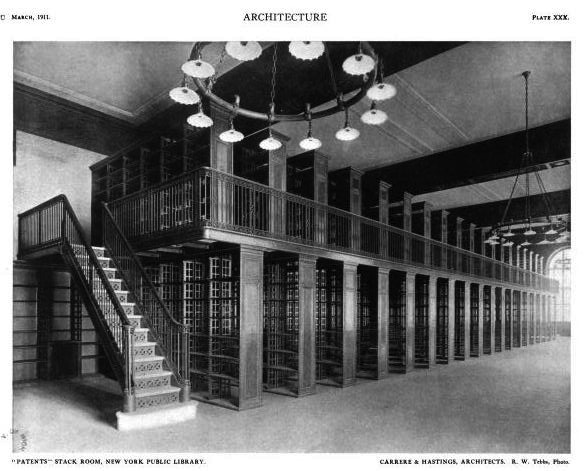 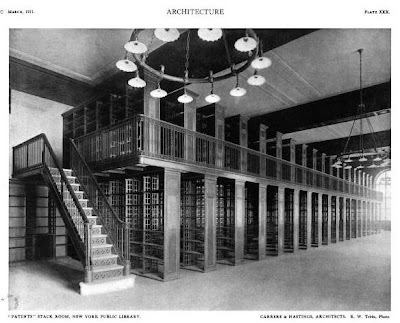 The accompanying interiors to the New York Public Library designed by Carrere & Hastings and opened in 1911 in New York City. 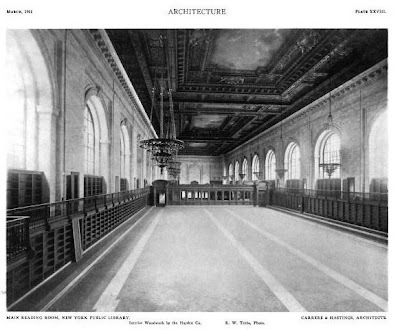 Click HERE for more on the New York Public Library. I haven't been here in ages...used to go on my lunch hour once-in-awhile while I worked at Holt, Rhinhart a few blocks away. I remember being in awe...but don't remember the details I see in these photos...do they still exist, or have they been altered beyond recognition? 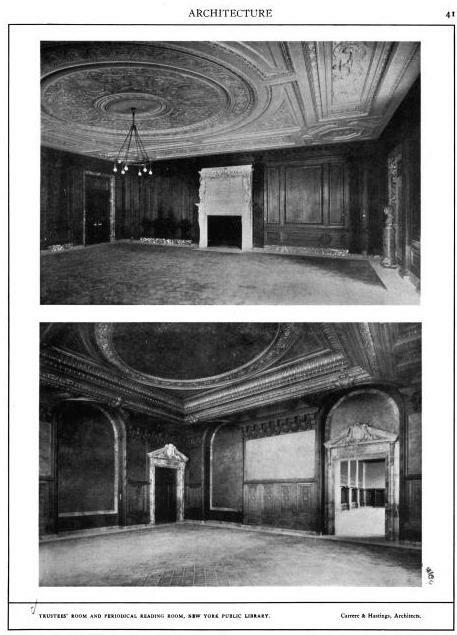 The place is in pretty incredible shape. 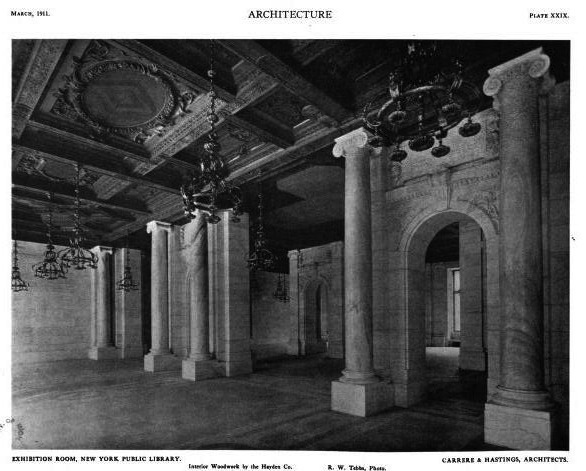 Plus it just had a major exterior restoration and cleaning...hasn't looked this good in 100 years. A very, very great building. 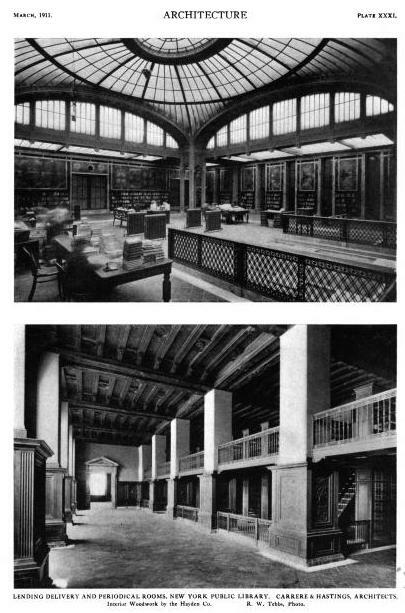 If you go to the library webpage, it say's they give free tours of the building. Is that the fireplace from the movie "The day after tomorrow"? ?